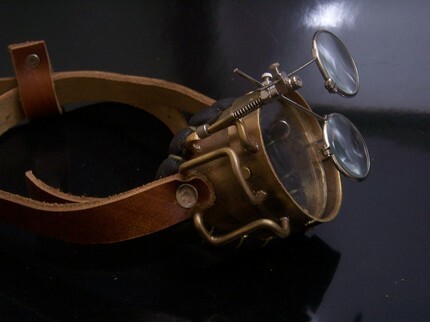 I was looking for kid’s steampunk stuff online and this was so amazing I thought it needed its own post. 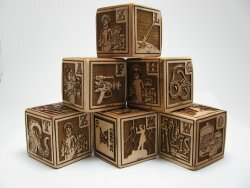 Over at Xylocopa you can buy these absolutely beautiful steampunk wooden blocks. Each of the 26 blocks has beautiful mad-science inspired scenes on them. 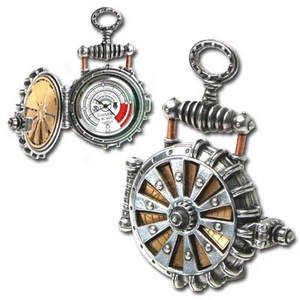 Spread a little holiday cheer Steampunk style with our handy-dandy gift guide. 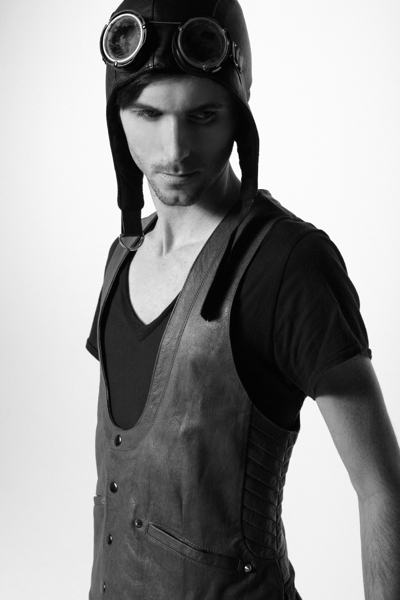 A leather vest from Skin Graft Designs can go from dashing to dastardly in an instant. The Sky Captain ensemble from Clockwork Couture will tell everyone that you’re the one in charge. 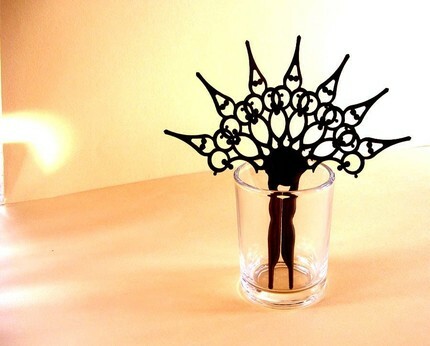 A mini top hat from Hilary’s Vanity is perfect for any occasion. A traveling suit from the amazing folks over at Clockwork Couture can take you from shopping in London to a party in Paris . Get a closer look with this amazing brass monocle from Brazen Device. The Solar Turbine Watch from Clockwork Couture keeps time in style. I really want these darling boots from Clockwork Couture.